More and more women are seeking chiropractic care during pregnancy. The reason?? These women have realized that as they get further along in their pregnancy, chiropractic adjustments help their bodies (and their babies) prepare for an easier and safer birthing experience, in addition to making the experience of pregnancy more comfortable. 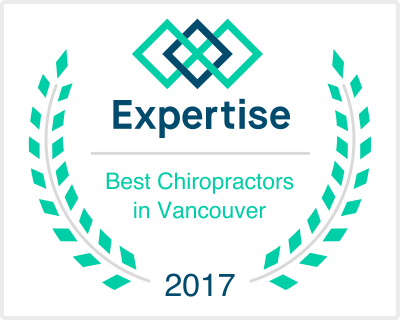 Dr. Friberg utililzes different chiropractic techniques specific to each patient's needs. Through the use of both instruments and manual spinal correction therapies, she is able to help provide comfortable and effective care. Low-Level Laser Therapy uses low intensity energy to help regenerate tissues within the body at a cellular level. It is able to do so by saturating the cells with energy, allowing them to reduce inflammation, regenerate cells and increase blood flow. Laser therapy can be used as an application for many different conditions including, but not limited to, low back, neck and shoulder pain. Spinal screenings are a great way to get more information as to whether chiropractic is right for you! Through a brief consult with the doctor and analysis of your spine, you can learn all the ways you can improve your health and wellbeing. Dr. Friberg provides screenings at community events, workout facilities and in the workplace. Call to schedule a screening for your event or company today! Dr. Friberg is a firm believer in starting positive and healthy habits early! When it comes to the spine, problems can begin as early as childbirth and through the process of learning to walk and even as they become more active in other childhood activities like riding a bike. It is important to make the most of your care by doing exercises and stretches to help correct your unique problem and maintain your spinal correction. The stretches and exercises target each of your muscles and connective tissues that are related to your problem, allowing your body to stay in balance so you can be your strongest you! Dr. Friberg believes that health starts from the inside out. During your appointments, Dr. Friberg can help provide specific recommendations on supplementation and healthy foods to help return your body to a more healthy state, so you can function at your optimal level and feel better faster. Subluxations are slight misalignments that can ocur in our joints, including the spine that can cause pain, poor health or decreased funtion throughout the entire body from the improper motion caused by the misalignment. Chiropractic is a natural form of health care, providing adjustments to correct these misalignments, helping your body function at its full potential. An adjustment is a gentle maneuver that helps correct subluxations so that the information between the brain and the body can communicate without interference, allowing your body to work at the most optimum level.